After the dust has settled and the your safety is secured, you’ll need to take your car in to be repaired. Fortunately, CID Auto Body & Paint in San Diego and San Marcos has years of experience doing auto collision repair. No matter how big or small the accident was, our team strives to give you the best price for the best results. 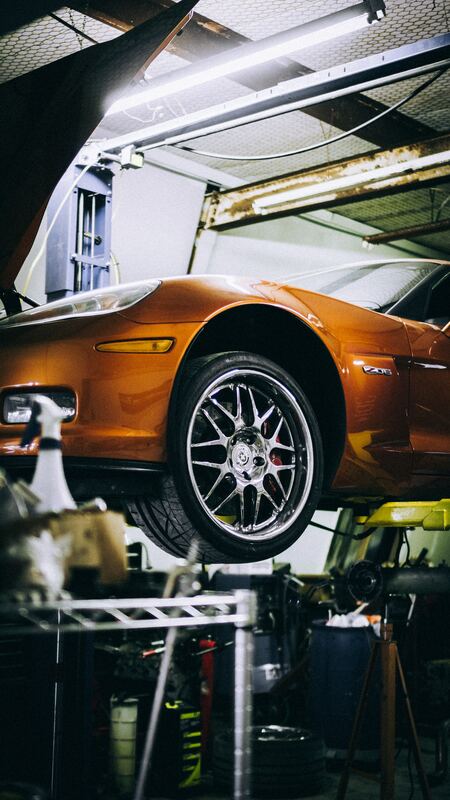 Our highly educated technicians will help you have the best experience at an auto body shop. An auto collision can be a traumatic event, but it does not have to follow you in the form of nagging car repairs. When you bring your car in to CID Auto Body & Paint, we won’t be satisfied with the repair until there is zero evidence of the collision. It always starts as a blip in your vision—a tiny chip or crack in your windshield. As time goes on, the chip or crack can grow into an expensive inconvenience. Soon, you are putting your life at risk by driving with a cracked windshield. Let our team of expert technicians evaluate your cracked windshield today. Depending on the size, location, and damage the chip or crack has done, we can repair your windshield. The sooner you notice that chip and take action, the more likely the repair will be just a repair—not a whole windshield replacement. Give CID Auto Body & Paint in San Diego and San Marcos a call today or get a free consultation today. If you are a business owner who operates or relies on more than one company vehicle, you understand that having clean, dent-free, flawless vehicles always leaves a good impression on customers, clients, and associates. Let CID Auto Body & Paint handle all of your fleet and industrial vehicle needs, whether it’s carpet vacuuming, painting, or major repair work. Our experienced team of technicians can repair trucks, semi trucks, and vans, doing everything from diagnostics to installing Rhino Linings on truck beds. In order for your business to thrive and grow, contact us today for all of your fleet service needs. If your vehicle has hail damage—or has dents from car doors opening on it—the minimally invasive Paintless Dent Removal will efficiently remove the dents in your car without using filler, paint, or sanding. Depending on the damage, CID Auto Body & Paint can have your car dent-free in the same day you bring it in. Our technicians are certified in Paintless Dent Removal, and they have years of experience in reaching and removing your vehicle’s dents without damaging other parts of your vehicle. If you have some nagging dents or hail damage to your car, give us a call today to see if Paintless Dent Removal is the right solution for your car. After you’ve purchased your brand new truck, you’re going to want to utilize the truck to its fullest capacity. Whether you’re hauling debris across town, carrying lumber for a new remodel, or transporting sheet metal, you want to protect the bedding of your truck. For the toughest, strongest bedliner to protect your car, we choose Rhino Bedliner. As an authorized Rhino Lining dealer, CID Auto Body & Paint in San Diego and San Marcos will help you determine whether a spray-on bedliner or drop-in bedliner is the right solution for your truck’s bed. Rhino Linings come in a variety of materials and colors, and our technicians can help you choose and instal the perfect lining to protect your truck. Give us a call to get your Rhino Lining installed today.